This is the second book in the Dollenganger series. 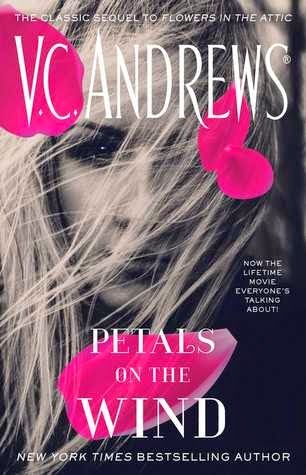 If you read the first book, Flowers in the Attic, then you already know that you need to read this one to see what happens next. It's funny for me, because I remember reading this whole series when I was younger, but it reads so much differently as an adult. Everything is written from the perspective of Catherine, the eldest daughter. After we live through the horrors of the first book, in this second book we have to question just how sane Catherine is. I remember when I was younger thinking that Catherine was justified in all she did. Now, reading it, I just felt really sorry for her. She becomes such a powerful, yet pathetic creature. We watch as her siblings attempt to make life for themselves. We gain new characters to grow to love and somehow trust. I became fascinated by some of them and wished they weren't such background characters. Following Catherine keeps you busy enough though. The strong look at how her brain works is just astounding. Andrews is a master at pulling the darkness out of a soul and putting it on display for everyone to see.